Are you a Musician, Record Label Owner or Artiste/Brand Manager that needs quick promotion, do you want to upgrade your music career to the next level? Do you want your music to go viral on the internet and also to acquire large number of downloads/views from a larger audience? If yes is your answer to all my questions, then what are you waiting for? Quickly click on Contact Us. TemmyPhilz Blog has helped many artists, especially Nigerian upcoming artists in promoting their songs/videos on the internet with large number of downloads in a maximum of one week. Thinking of Promoting your Song Online? – Your first choice should be TemmyPhilz Blog. 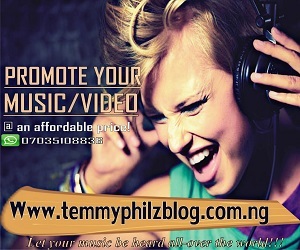 TemmyPhilz Blog is a Household name to reckon on the Internet when it comes to Music Promotion in Nigeria. Come let’s Showcase your song on our Platform and experience the true effectiveness of Internet promotion you can’t get elsewhere except on TemmyPhilz Blog. Want massive Downloads/Views for your new materials? Have you been looking for how to expand and where to promote and advertise your Company,Organization,Product/Business, or whatever to a large audience? 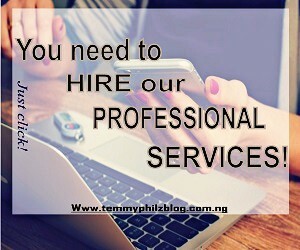 I assure you that TemmyPhilz Blog is the best site to get that done for you. Banner/Flier of any size on our platform: TemmyPhilz Blog offers Graphic designs/art work incase you need a Banner. We can help you design a banner that describes and contains details about your business incase you don't have one. If you have a preferred one of your choice, you can submit it to us. Your adverts will remain visible on our site as long as you continue to renew it.